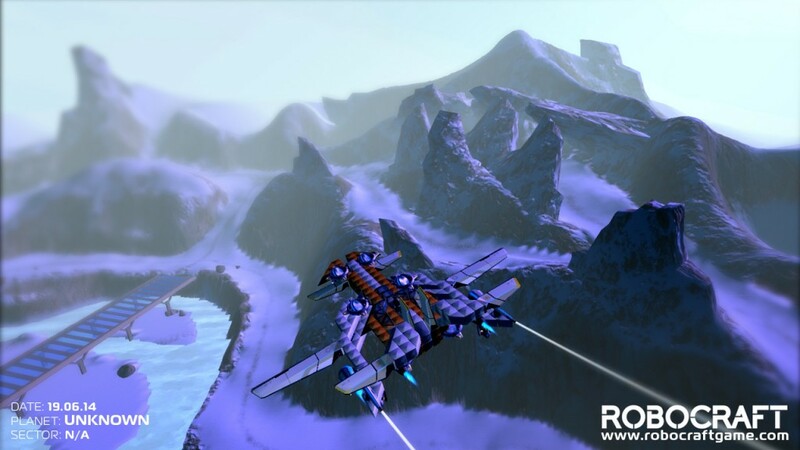 As the Robocraft empire expands exponentially we find the frontiers of battle spreading further across the galaxy, Freejam industries has designated Sector 2 on the frosted Earth Dwarf GJ 1214b open to all bids, if your team can hold it for long enough. so battle up your most fiendishly powerful Robo-Beasts, adorn something toasty warm and GO TAKE IT, ITS YOURS ! A huge glacial mountain just off center provides a definitive barrier for ground Robots, you must navigate around it. A windy multi routed mountain pass provides a lovely vantage point and moments of direct line of sight to the expanse below, its a great place for a drive and a ploughman’s sandwich. As the glacial began to melt before the big freeze it has left a strange raised bowled mound in the center of the map, this is fun for little head to head bish bashing, just mind the snipers up on the mountain pass. Everyone loves a tunnel, in sector 02 we have a true tunnel completely enclosed though a mountain and a open style tunnel constructed from rock formations, a lovely vantage point to take down some pesky flyers.